Anyways, back to the post today. 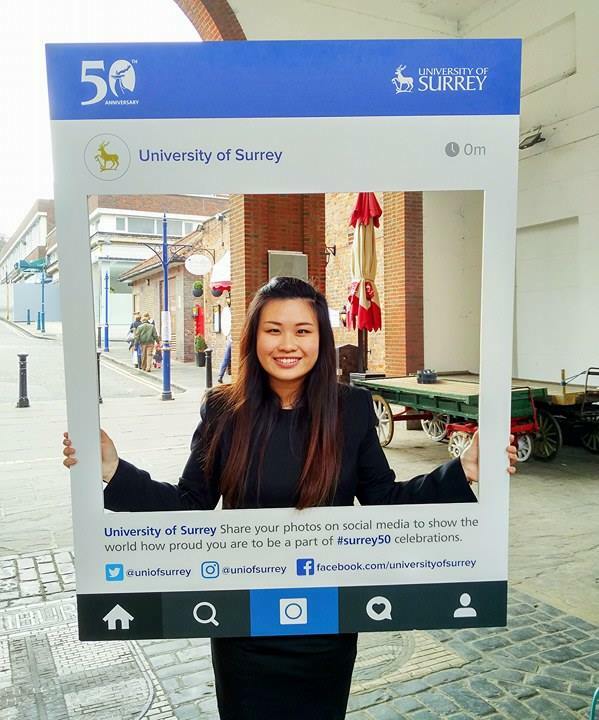 Soooooooo, its University of Surrey’s 50th anniversary this year and thus I would like to take this chance to dedicate this post and wish Surrey a very wonderful and happy 50th anniversary! Thank you so much for giving me an incredible year in Surrey and pray that the coming 50 years will be even amazing and bring blessings to more prospective students! 🙂 Coming to the UK and studying in Surrey especially is definitely the best decision I’ve made in life and I couldn’t be more happy to be part of the celebrations. 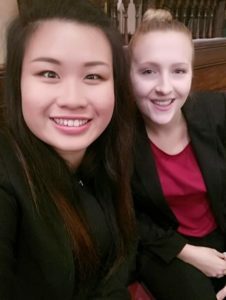 So, special thanks to Katie’s recommendation, I was really honored and happy to be chosen to represent international students in the Thanksgiving Ceremony which was held at Holy Trinity Church in town on 22/10/16. The event was a by-invitation only event which is held right after the procession in town with the presence of HRH the Duke of Kent and other VIPs. 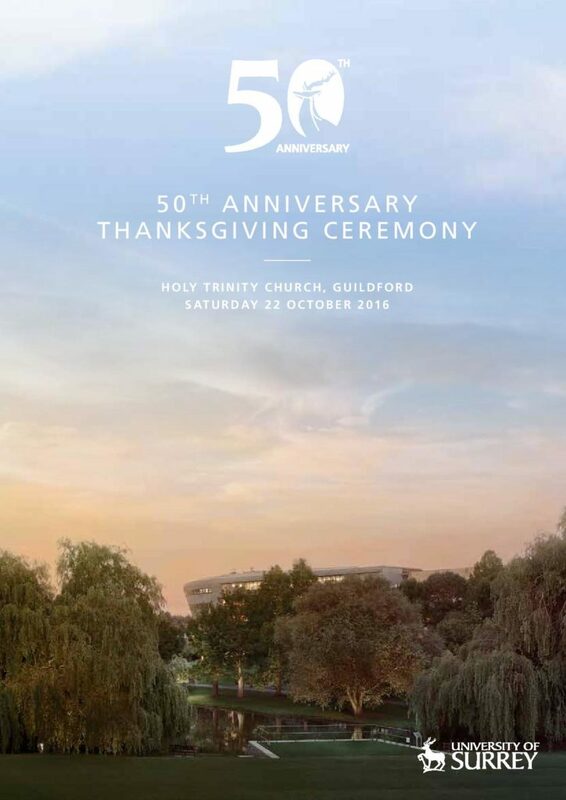 I was involved in the Thanksgiving Act session whereby I get to lead the crowd in declaration alongside the Vice Chancellor, Prof Max Lu and representatives from Surrey’s teaching staff, Student Union, alumni and other VIPs. On the day of the event, I was really excited and woke up really early to get ready for the day. There’s a huge crowd in town that day as there’s also a celebration procession that is taking place prior the Thanksgiving event and the University has also put up street banners and a booth on the High Street whereby the public can join in the celebration and get some goody bags or take pictures using the props provided. As I need to reach the church earlier on the day to standby, I didn’t get to join in the procession in town but I did hear from my friends that went and all of them commented that it’s a really enjoyable and memorable moment. If any of you that is interested to look at the pictures for the procession, please click here and follow University of Surrey’s FB page! 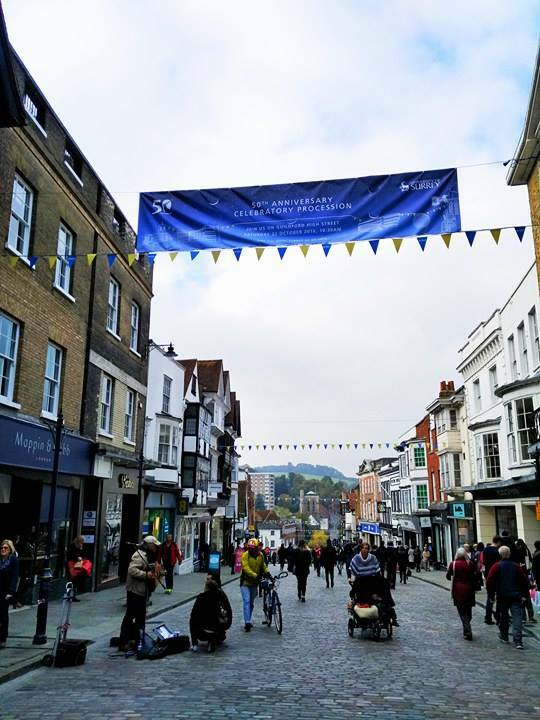 The 50th anniversary banner flying high on the streets of Guildford! Okay sorry for the short non-relevant interruption. Back to the ceremony. 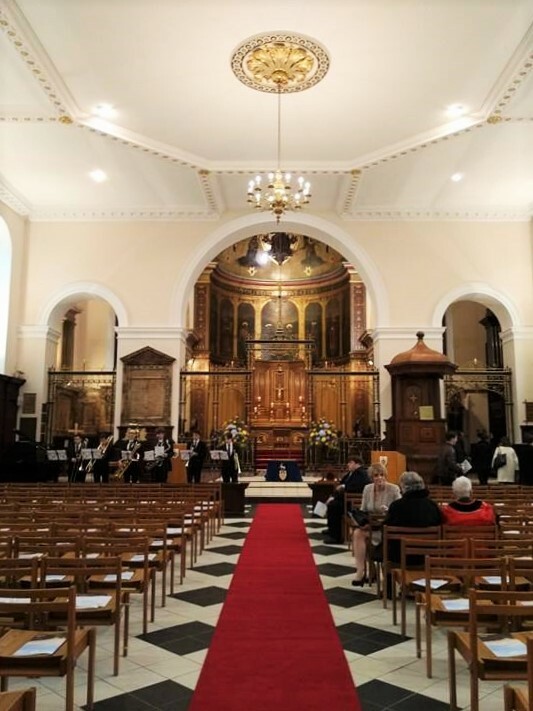 😛 So after all of the people arrived, the ceremony kicked off with a warm welcome from Revd Canon Robert Cotton, which is the Rector of Holy Trinity and St Mary’s Church Guildford. He even mentioned that the University is very welcome to use the church for its Thanksgiving Ceremony after another 50 years celebration, which I personally really look forward to see the university celebrating its 100th anniversary (if I’m still here :P). The ceremony then proceed with a warm welcome and opening address by our beloved Vice Chancellor, Professor Max Lu, followed by responses from the Surrey County by the Lord-Liutenant of Surrey, Guildford Borough by Mayor of Guildford and a short reading from the Pro Chancellor. The ceremony then continued with a dance performance by current undergraduate students of BA Dance and song performance from Guildford School of Acting (GSA) singers with some reading in between. The performances were really amazing and I really think that they did a really good job and the performances are really performed in a very high standard. 🙂 Once again a round of applause for the amazing BA Dance and GSA singers! The venue of the Thanksgiving Ceremony! Meet Holly Batsford, the representative for current student in University of Surrey for the Thanksgiving Act! Once again thank you Katie from the International Recruitment team for the recommendation and also Emily from the Events Team for giving me the chance and I believe I’ll definitely remember this moment forever! Hope everyone that is reading this will be able to share my joy and was as proud as me for being a Surrey student. 🙂 See you all next week and take care!